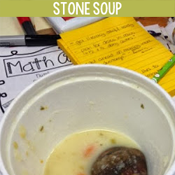 Today I'm sharing one of my favourite tasks for building community in the classroom. 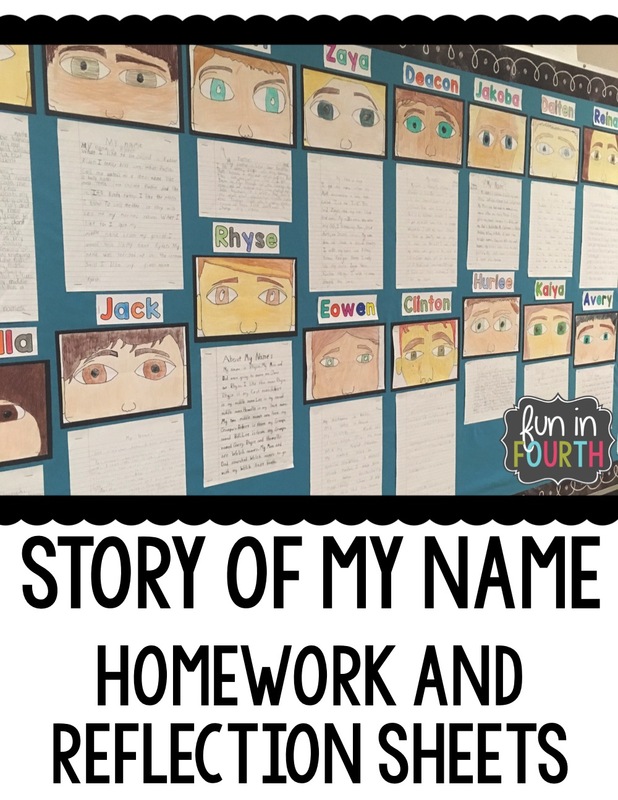 Students are able to share an important aspect of themselves (the story of their name) with the class and with me, their teacher. 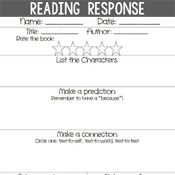 Through this task we are also working on important skills, like reading comprehension, writing, and reflection. 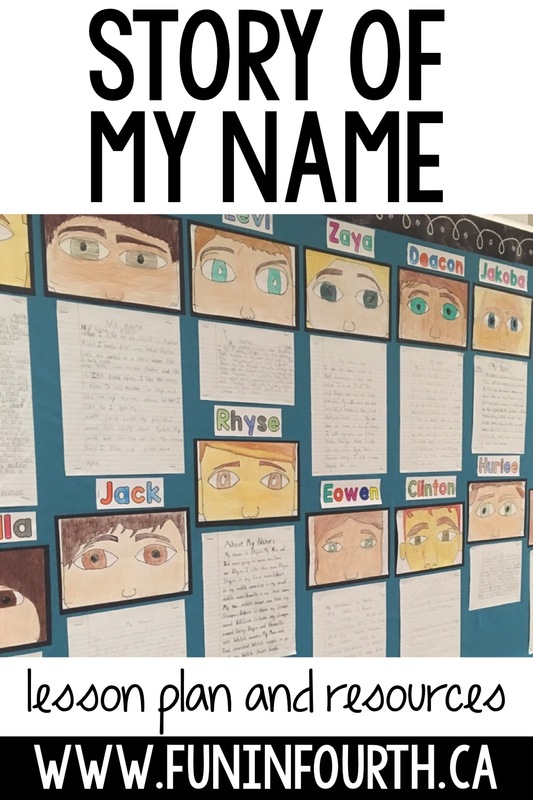 To begin, I asked my students to write any name they wish they had on a sticky note. They then placed it in a mason jar. 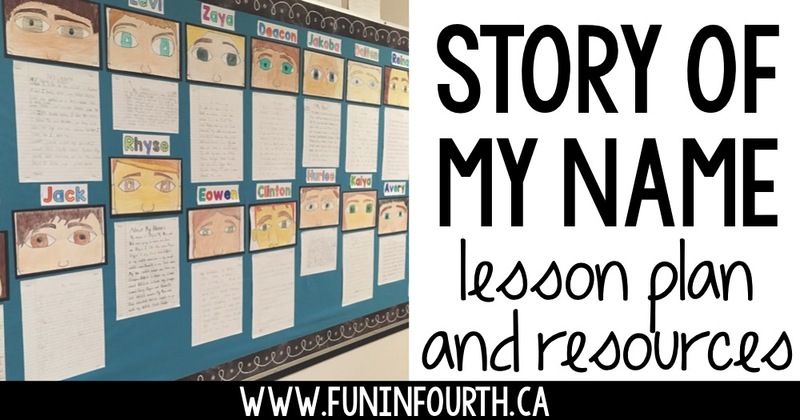 I read my class the story "The Name Jar" by Yansook Choi. - Did they choose their own name? Or another? - If you chose another name, where did you hear that name before? 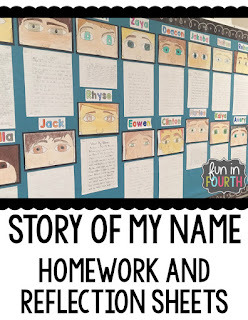 At the end of Day 1, students were given homework. 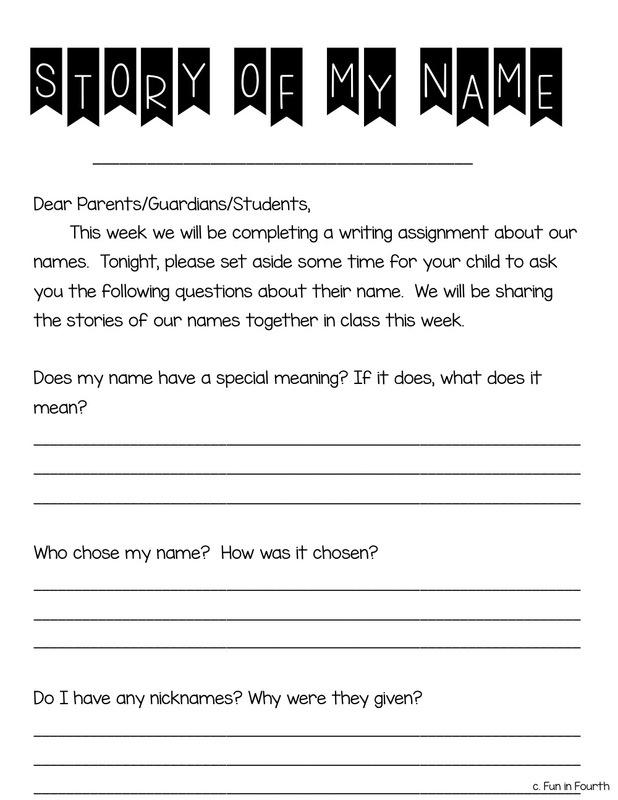 I make it very clear, that while names all have meanings, your family may not have chosen your name for that reason. They might not know the meaning, and you can choose to look it up with your family if you wish. I also focus a lot on nicknames and your own feelings about your name. 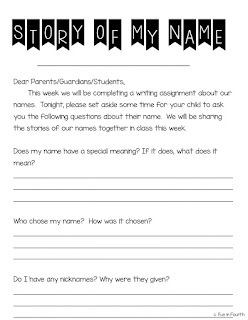 While I've never taught a student in foster care, or one who was adopted, I do think it's important to mention that this could be a touchy task in those situations, so be sure to know your students first, and modify as needed. 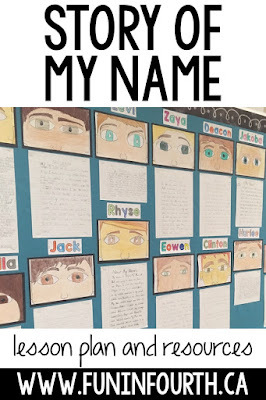 This piece of writing is then self, peer, and teacher edited, and a "good" copy is made. I found this excellent step-by-step self-portrait from "Art Projects for Kids". I modified the task so that instead of drawing the left or right side of their face, they would draw the top half. Students find that folding their page into quadrants as she suggests is very helpful. Under the document camera I demonstrate each step, and students copy, adapting to their own facial features. 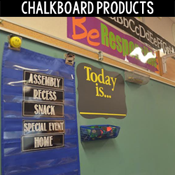 Each student gets a mirror to look in to help them personalize. Once we've completed the task, the last job is to reflect on our work. 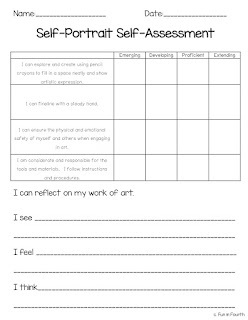 I pulled some elements from our Arts Education curriculum (very relevant regardless of where you teach) for students to self-assess on. 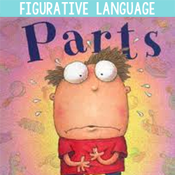 I've used the proficiency scale language our school has moved to for all reporting. A few students found it helpful to complete their reflection while looking at the finished product on their bulletin board, but most didn't need this. 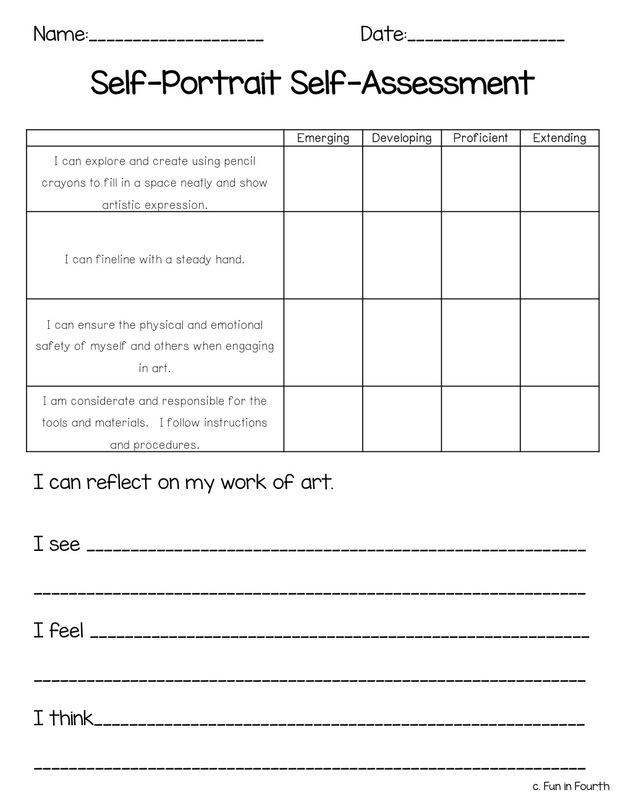 Want a copy of both my homework and reflection pages? Follow the image or button below to grab your copy.